Do you have a hard time sticking to a fitness plan? Fitbit tracking might provide you with the motivation you need to make important lifestyle changes that will improve your overall health and well-being. Many of us are great at starting a new fitness program. But, keeping up with it is a different story. At the beginning, we are determined to exercise regularly, eat healthier, and sleep better. And, everything goes well for the first few weeks – or maybe even the first month - but then things slowly (or maybe not so slowly) start to shift back to the way they were. It seems like a vicious cycle, right? But, it doesn't have to be. Getting 10,000 steps in each day can look like a huge mountain to climb, but it's actually easier than you think. Sometimes, we just aren't conscious of our activity level. And, that's where the Fitbit comes in. It keeps track of things like steps, distance, and calories burned so you know how well you are doing at meeting your daily goals. Then the device syncs with your computer or smartphone and displays your data in colorful charts and graphs. It's a little harder to skip your morning run or evening walk when you are looking at a lopsided pie chart or a display screen that acts as a constant reminder of your step count. If you need extra motivation, you can earn Fitbit badges for reaching daily/weekly goals or create some competition by challenging your fellow Fitbit owning friends. But, as a warning, you may find yourself doing unusual things like jogging on the spot while texting, running a few laps around your desk when no one is looking, or unloading the dishwasher one plate at a time so you can make extra trips to the cupboard. All these steps add up, right? Whether you are a serious athlete or someone who just wants to add more activity to your daily routine, “there is a Fitbit product for everyone”. Ranging in price from about $70 to $300, these devices have many features that can help you create a fitness plan – and stick to it! Of course, the available features will vary depending on the model, but even the Fitbit Zip, the smallest and least expensive of all the Fitbits, tracks your activity and will display your data in pretty charts and graphs. It doesn't have all the bells and whistles of other models, but some people don't need or want them. After all, if you just want to count your steps and track your goal progress, there's no point in paying for a complex device that allows you to program for multiple sports like swimming, cycling, or running while also monitoring your heart rate and letting you know every time you receive a text. Features cost money, so why pay for ones that you are never going to use, right? That's what is great about Fitbit – it knows that we are all different, so it offers a variety of options that will appeal to the casual walker, the serious athlete, and everyone in between. Accuracy. 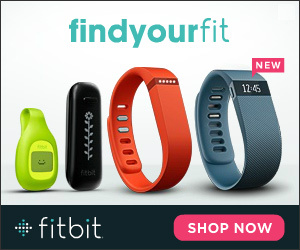 Although the features and prices may vary on the different Fitbit models, the quality does not. Every device is equipped with the latest and most accurate technology. 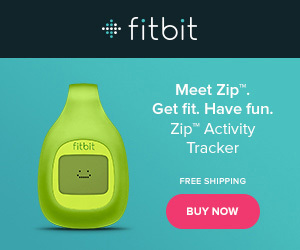 In fact, the Fitbit Zip has earned the top spot on most “Best Pedometer” lists, receiving a 95% or greater rating for accuracy. It tracks your sleep. With the exception of the Zip, all models will tell you how long and how well you have slept. Proper sleep is an important part of any fitness program, and identifying sleep problems can help you achieve your weight loss or health goals faster. It's personalized. The Fitbit has a lot of features that will help you maintain a healthy lifestyle. You can track what you eat, your water intake, your blood pressure, weight, and heart rate. Plus, calories burned are based on your personal profile, not a general average. Wireless Sync. All devices sync wirelessly to your computer or smartphone. No cords, no plug-ins, no complications! Just check out your Fitbit dashboard for real-time access to your progress as well as charts and graphs that summarize your activity level for the day. The information is organized and easy to understand so you get a clear visual picture of your achievements. Competition. Maybe you just love the challenge of getting your 10,000 steps in each day. Or, maybe you need the motivation of comparing yourself to others or competing with friends and family. When you reach a goal, Fitbit celebrates with you by awarding you a badge. Even if no one else ever see it, there is still that extra little push to keep progressing. Small and Stylish. The smaller Fitbit models can easily fit in your pocket or be clipped comfortably to your waistband or bra. Other models are stylish wristbands that come in multiple colors. You can even take the little tracker out and put it in a different color band to match your outfit. Not all pedometers or fitness tools are that accommodating! Online Tools. Besides the Fitbit dashboard, the device can also be synced with other popular health apps such as MyFitnessPal, Lose It!, or SparkPeople. Price. Fitbit has the highest accuracy rate and the best features at reasonable prices. Yes, you will pay for the “extras”, but even the competitively priced Zip offers features that other pedometers don't. Studies have shown that even basic pedometers can increase step count by almost 40%. Just having a goal and being able to see it come to fruition is a strong motivation. If you find it difficult to stick to a fitness program, a Fitbit could be one of the best investments you make into your health. Make every step toward health count with a Fitbit tracker.